*I was not compensated in any way for this post. The opinions are 100% mine. 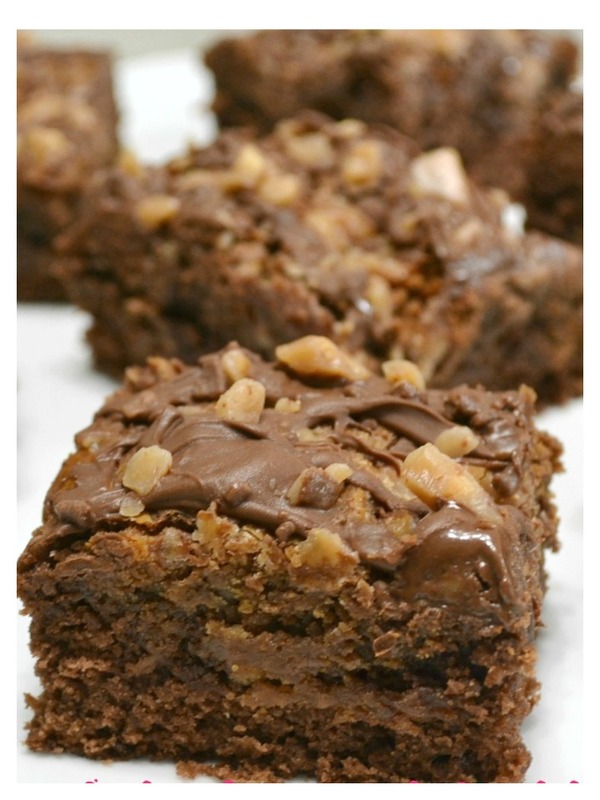 Triple Chocolate Peanut Butter Toffee Brownies are a decadent dessert made with a layer of brownie mix, peanut butter and chocolate flavored sweetened condensed milk, topped off with a chocolate hazelnut spread and chocolate toffee bits.